In 2019, McGarry Partners started a new chapter, changing our name to Apiary Financial. Our new name reflects our united approach to financial services, as well as our philosophy of building long- term, collaborative relationships with our clients. Find out more about our new name. Apiary Financial builds on a strong heritage. For almost 40 years our team of Chartered Accountants and Financial Planners have partnered with clients in South East Queensland to achieve their financial goals. Our advice covers all areas of business and personal wealth management, recognising that business and personal goals can and should work together. We support small and medium-sized businesses, from start-ups to established enterprises, advising on business strategy, tax matters, self-managed superannuation (SMSF), cloud accounting and business structuring. We embrace technological advancements and have alliances with like-minded firms to provide our clients with complete business and wealth management solutions. Our goal is to partner with you for the long term. We are genuinely concerned with helping you achieve the best possible financial outcomes, now and through to your retirement. We like to meet and talk with you as much as possible, so that we can continue to understand your personal and business goals, now and into the future. The more we understand you, and your financial affairs, the better we can provide quality and timely advice. We never “set and forget”. We continually monitor and manage your investment portfolio to ensure that your investment strategy is on track to meet your goals and objectives. Scott is a member of Chartered Accountants in Australia and New Zealand and holds a Bachelor of Economics from Monash University, Melbourne. He is a registered tax agent, an Authorised Representative of Count Financial Ltd, a Chartered Tax Adviser, a Fellow of The Tax Institute and a registered SMSF auditor. Scott has been in public practice for over 30 years and became a partner of the firm in January 2003. Prior to joining Apiary Financial, Scott was employed with an international accounting firm as a Director of Business Services where he obtained a broad range of experience in audit, business recovery, taxation and business advisory services. Scott is an accredited Self Managed Superannuation Fund specialist. Salvatore is a member of the Institute of Chartered Accountants in Australia and New Zealand and holds a Bachelor of Commerce from the University of Queensland. He is a registered tax agent, an Authorised Representative of Count Financial Ltd, a Chartered Tax Adviser, a Fellow of The Tax Institute and a registered SMSF auditor. 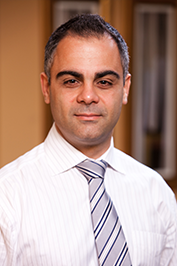 Salvatore has been in public practice with Apiary Financial since 1995 and became a partner of the firm in July 2005. Salvatore has a broad range of experience in business advisory services and taxation. Salvatore is an accredited Self Managed Superannuation Fund specialist. 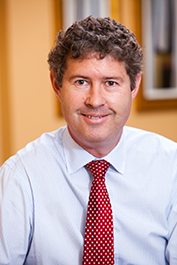 Craig is a member of the Institute of Chartered Accountants in Australia and New Zealand and holds a Bachelor of Commerce from the University of Queensland. He is a Chartered Tax Advisor, a Member of the Tax Institute and holds a Graduate Diploma in Chartered Accounting. 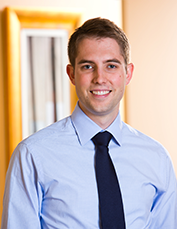 Craig joined the Apiary Financial team in 2008, and became a partner of the firm in July 2015. Craig offers experience in the areas of business advisory services and taxation, and is a Xero Certified Adviser and QuickBooks Intuit Certified ProAdvisor. Craig is dedicated to forming meaningful, long-term client relationships and providing meaningful advice through obtaining an understanding of his clients and their businesses. 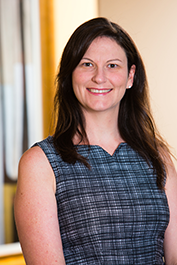 Suzanne is an Authorised Representative of Count Financial Ltd and a Financial Planner with Apiary Financial Planning Pty Ltd.
Suzanne has over 17 years of experience in the provision of financial planning advice and has been with Apiary Financial since 1995. Suzanne attained a Diploma of Financial Planning qualification in 2003 from the Financial Planning Association via Deakin University. Suzanne is a CERTIFIED FINANCIAL PLANNER® Professional and has been a member of the Financial Planning Association since 1999. Suzanne holds specialist accreditations in Self-Managed Superannuation Fund advice, Aged Care and UK and Foreign pensions.